Walt Disney World is a hot spot for tourists visiting Orlando, Florida, but it isn’t the only thing families can do for fun in central Florida. 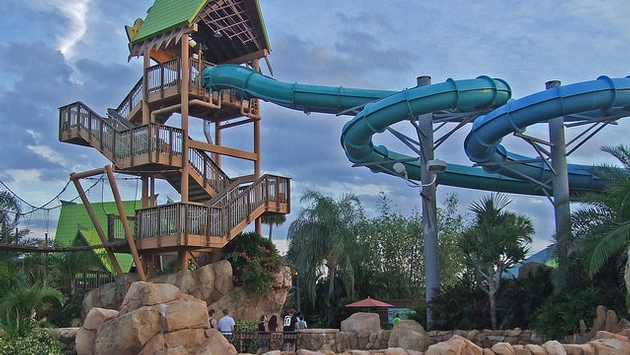 From fun theme parks to wild adventures and of course great food, here are some non-Disney things to keep your family satisfied on a vacation to Orlando. The kids will absolutely love all that LEGOLAND offers, and adults are also encouraged to build and explore. You can play for the day, stay the night or really go all out for the VIP treatment which includes priority access and a private cabana. If you’re headed to Orlando this spring or summer, be sure to check out the new water park at LEGOLAND opening on March 11. If theme parks are the main focus of your stay in Orlando, it doesn’t get much better than SeaWorld. Get up close and personal with dolphins, penguins, killer whales and more. Families can gather together to watch spectacular animal shows and exhibits throughout the day, as well seek adventure on thrill rides and splash around at Aquatica, SeaWorld’s waterpark. For a truly unique experience, head to Gatorland where not only can you feed alligators, you can also “wrestle” with them or even be a trainer for a day. Home to thousands of alligators and crocodiles, Gatorland also has a zip-line tour where, yes, you will be flying high above one of the most feared animals on the planet. The other major theme park in Orlando, Universal Studios has a plethora of options for the whole family. From roller coasters to water rides to fantastic shows and even on-site hotels, Universal can definitely meet your family’s needs for a fun outing. Have you ever wanted to know what it would be like to skydive, but never actually jump from a plane? Well, you’re in luck, because at iFly, it’s all indoors. They’ll hook you up with all the gear and give you pre-flying instructions to ensure safety. You can even order video clips from your indoor skydiving adventure. Family owned and operated, Fun Spot is a smaller, more affordable theme park for the entire family to still have a blast. With go-karts, thrill rides, kiddie rides for the little ones and tons of arcade games, the fun will never end! Let the kids go wild and jump until they can’t jump anymore at this great indoor trampoline arena. Mom and Dad are of course welcome to join in on the fun as well, but we couldn’t blame you if your goal here was to tire the kids out. Orlando has some sensational restaurants, whether you’re in the mood for fine dining or something cheap, but for some fun for the whole family type eating, I would highly recommend getting a taste of Chicago by feasting on authentic style deep-dish pizza at Giordano’s Pizza. Another great spot for the entire family is Kobe Steakhouse, which cooks Teppanyaki dining and was voted the No. 1 Japanese Steakhouse in Central Florida.